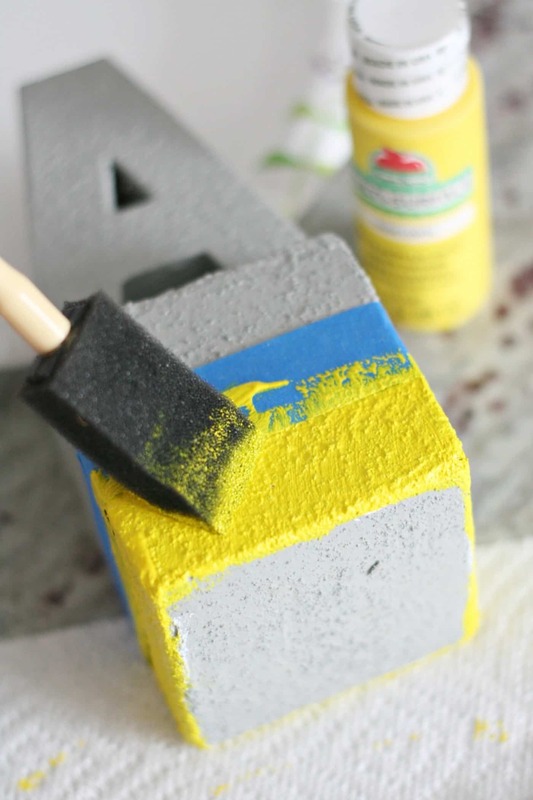 Use this fun tutorial with FolkArt Painted Finishes, FloraCraft foam, and Smooth Finish to create these awesome faux concrete bookends! 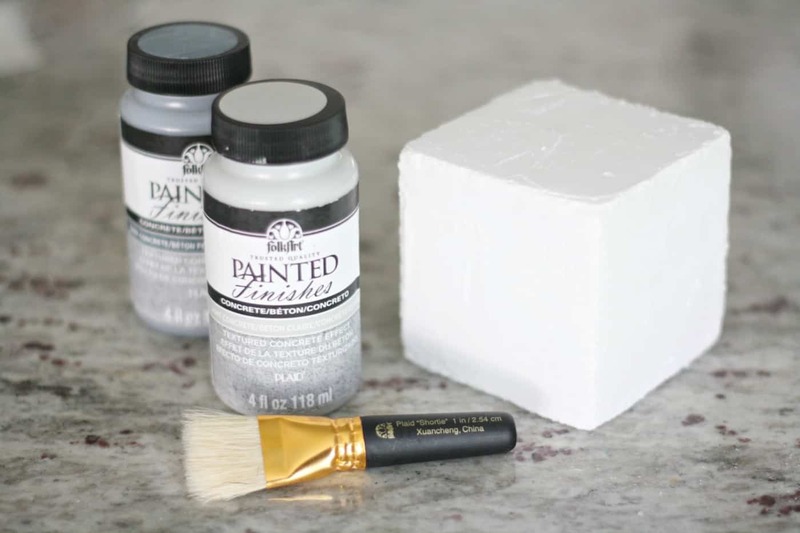 I recently got some of the new FolkArt Painted Finishes and have been dying to try the concrete finish. 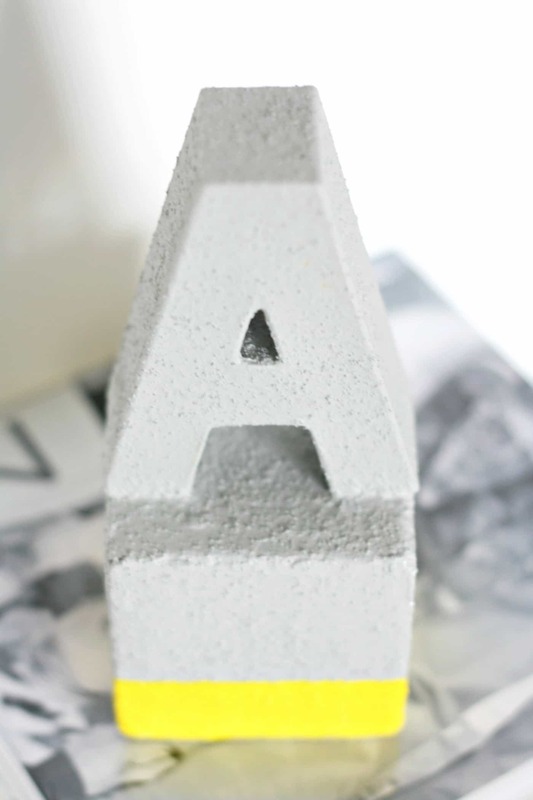 I love how concrete looks in decor, but have no idea how to create something with real cement! 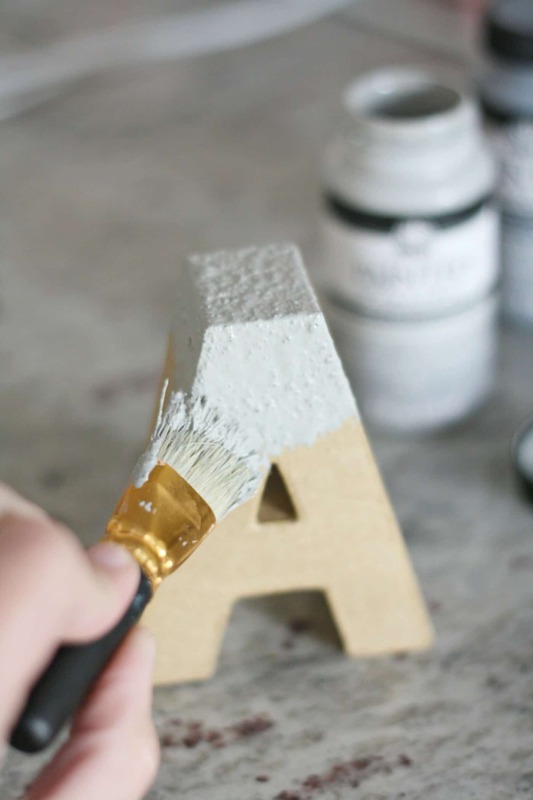 So this simple-to-use faux finish is perfect! 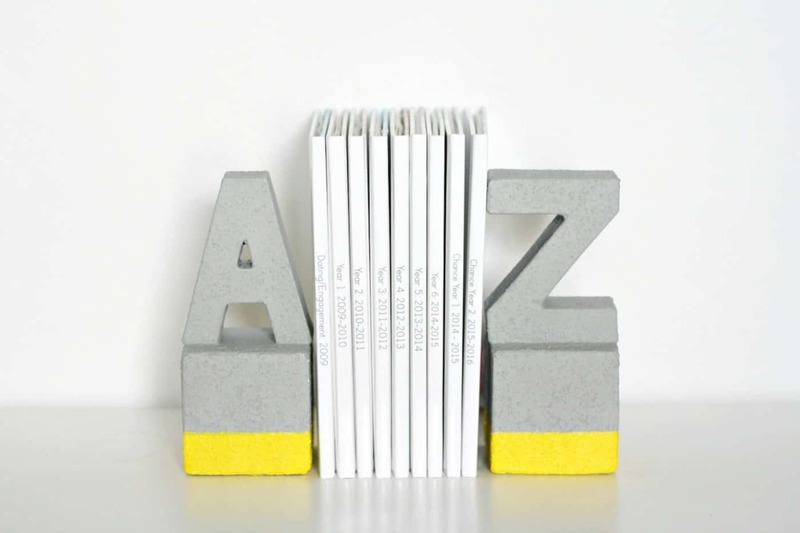 I had an idea to create some faux cement bookends, and I love how easy they were to make and how cute they turned out! I used a foam cube as the base of the bookend. 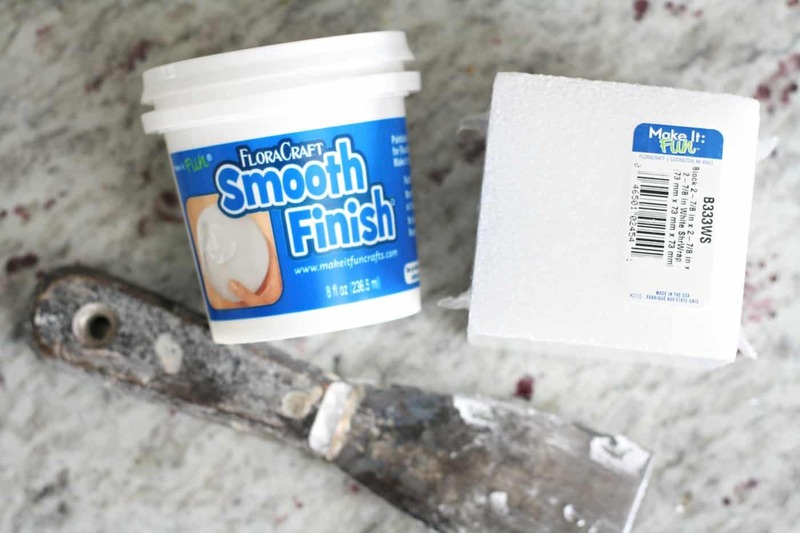 I just learned about this FloraCraft Smooth Finish, which fills the cracks of the foam to make a smooth surface you can embellish in SO MANY ways. It’s a game-changer! 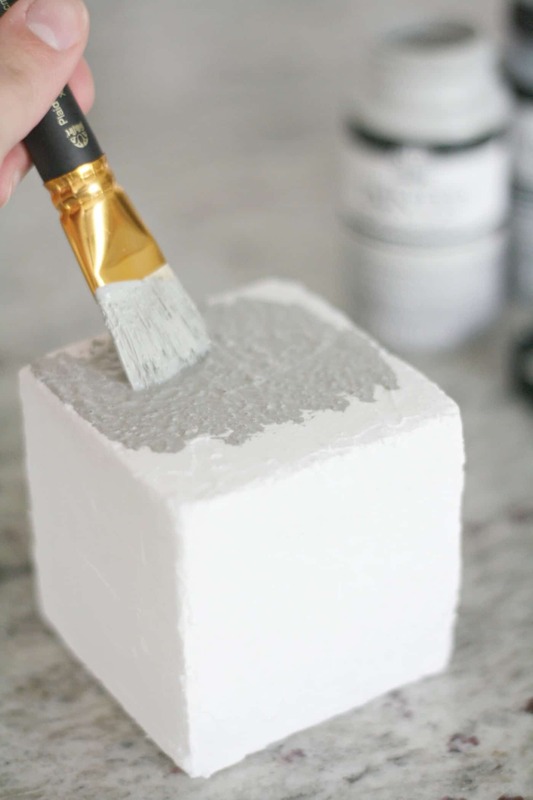 I applied two coats of the Smooth Finish to the cube using a putty knife. After the Smooth Finish dried completely, I was ready to apply the concrete finish! I dabbed the concrete finish on the cube. 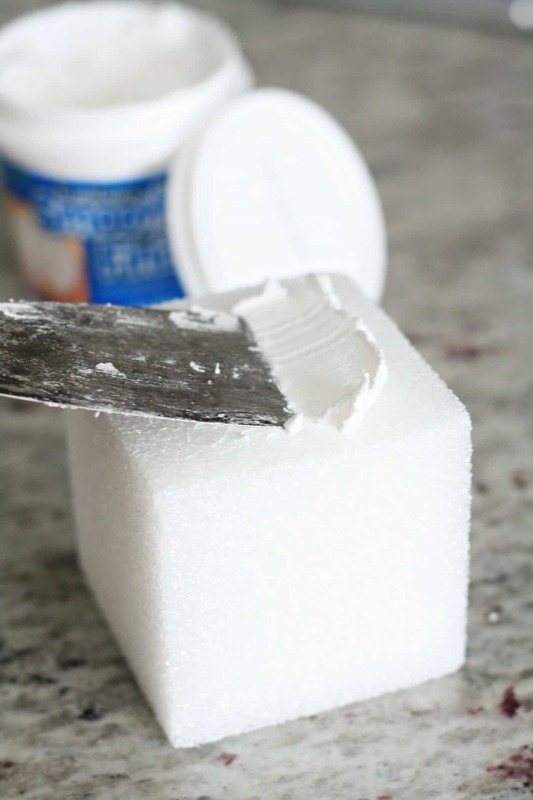 You can see in the picture that it has a grit to it, which makes it nearly impossible to mess up, since bumps and cracks are what make it look like real cement! Next, I applied the concrete finish to the cardboard using the same method as the cube. Then, I glued the letter to the cube. 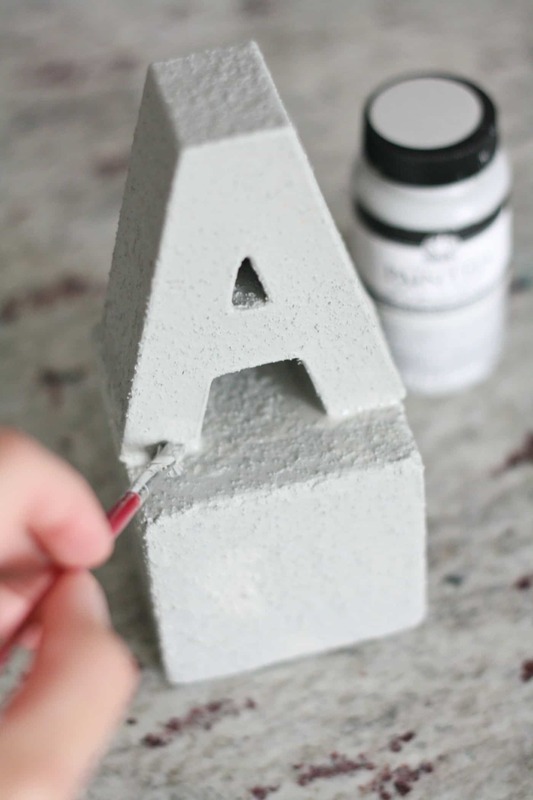 I wanted it to look like one piece of cement, so I used the concrete finish to fill in the seams between the letter and the cube. 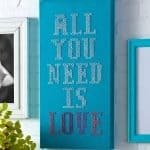 Last of all, I add a pop of color to the bottom of the cube. I just taped, painted, and let dry. 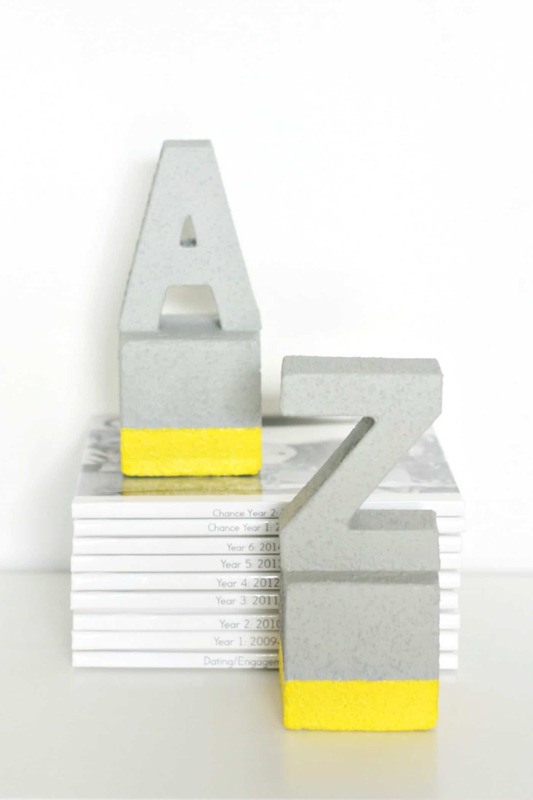 How cool is that texture from the concrete finish?! 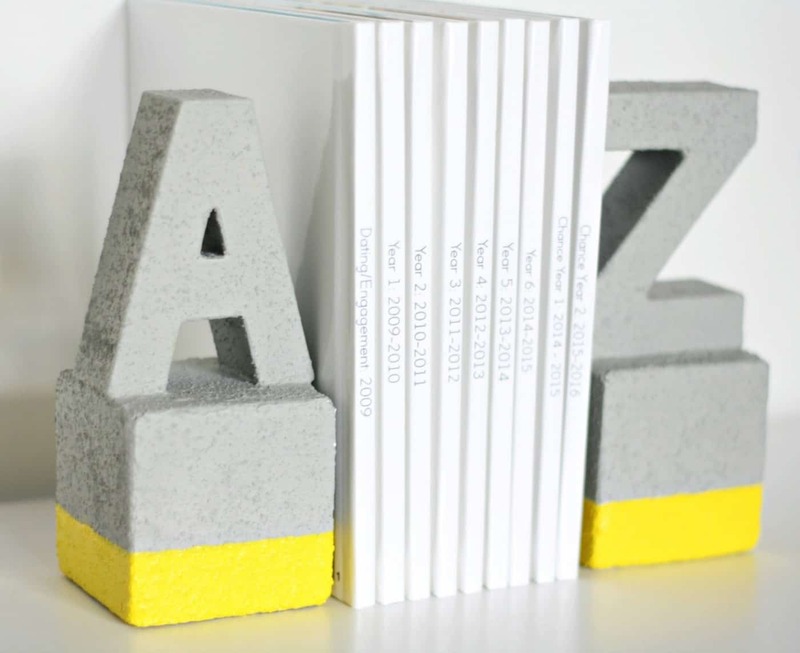 What do you think of my faux concrete bookends!? What would you make with this concrete finish? 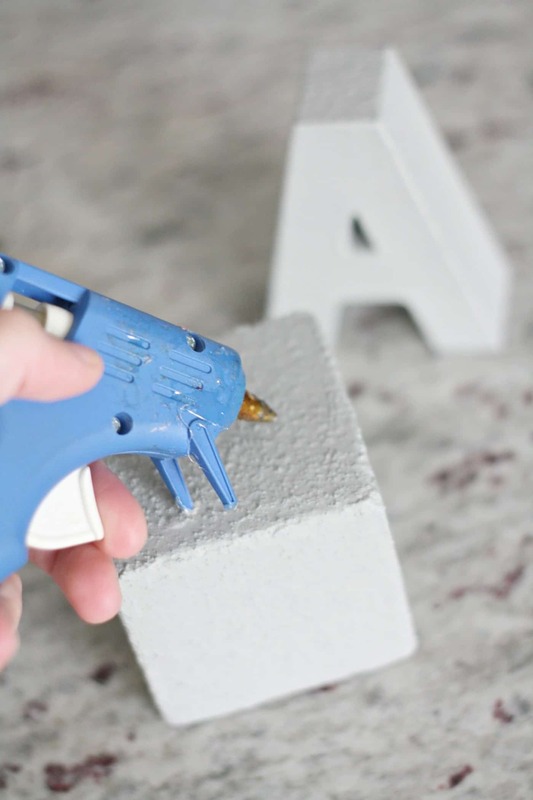 And be sure to visit us as we blog about style, food, and the things we love over at the Pretty Life Girls where you can find other fun DIY projects like these DIY Cement Hanging Planters! 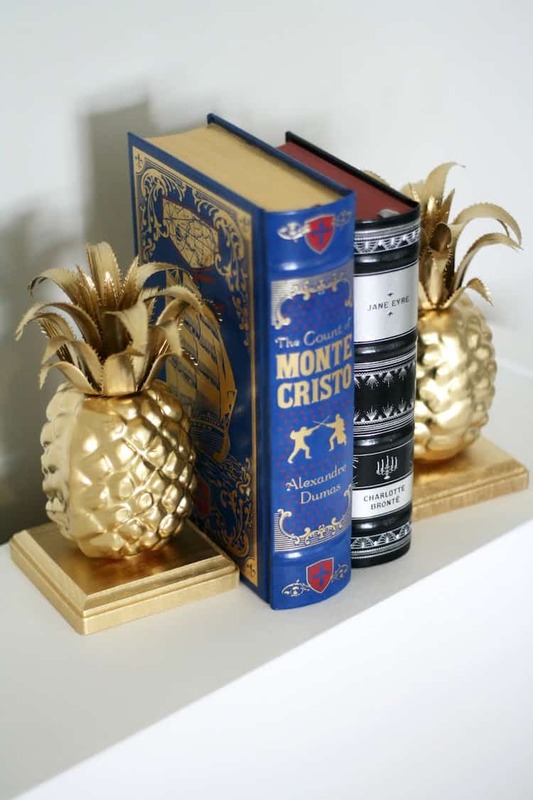 I am loving these book ends and what a cool finish! 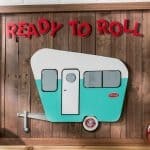 There are so many ideas running through my head for this! Sharing! 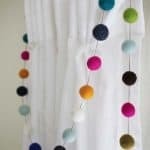 These are beautiful and I want to make some! Are they heavy enough to hold books in place? 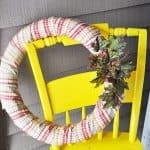 I know the letters are pretty light, but wonder if the floral smooth weighs it down some? Really cool!